Black BookTM has released annual customer satisfaction rankings of the top ambulatory mobile EHR application in their latest, " 2015 Top Ranked Virtualized and Native Mobile EHR Applications," the most recent in a series of Black Book strategic industry reports focused on the health technology and services markets. Over 6,000 practice management and physician leaders participated in this survey. New York, New York, July 21, 2015	(Newswire.com) - Surveyed practice management,physicians and hospital mobile EHR users narrowed down an elite group of systems vendors across probing key performance indicators from a crowded field of over 320 complex medical software firms employing either virtualized or native EHR applications. As thousands of physician practices are still selecting their first mobile records systems, and other physicians are exchanging out original EHR choices, current mobile EHR adopters identify the firms that deliver on implementation success, reimbursement improvements, physician productivity, outcomes, usability and interoperability. Black Book™ well known internationally for accurate, impartial customer satisfaction surveys in the multiple services and software industries, conducted its annual sweeping four-month user poll to determine the highest ranked Electronic Health Record software systems for 2015. As part of a special research focus on implemented EHR users, Black Book reveals industry trends and announced those vendors with the highest scores in client experience including mobile EHR applications. "As the transition to mobile devices has been rapidly occurring over the past five years, progressive EHR vendors have responded with clear plans and successful products to help expand the user experience," said Doug Brown, Managing Partner of Black Book Market Research. "With more than half of physicians currently using a mobile device in their medical practices, these EHR vendors are allowing providers to choose which platform best fits in to their workflow in mulltiple healthcare delivery settings including highly usable mobile products." The survey revealed 52% of ambulatory practice physicians currently access patient records and/or reference data from a mobile device. However, 70% of all clinicians indicated they aim to use mobile EHR devices and software by the end of 2015. 31% of all physicians responding utilize smart phones as part of their individual patient management strategies. Emergency physicians, radiologists, OB GYN, general surgeons and orthopedic surgeons were among the specialists with the highest utilization of iphones and/or android phones as part of their daily patient management routine. Based on the aggregate client experience and customer satisfaction scores on eighteen key performance indicators, the top-ranked virtualized and mobile electronic health records application vendor for 2015 is drchrono. This is the third consecutive year drchrono has ranked first among physician practices in mobile EHR in Black Book client surveys. Earlier this year, drchrono was also ranked among the top five ambulatory EHRs for small and independent practices across all medical and surgical specialties. Other top performing mobile EHR application firms in the 2015 Black Book Market Research 2015 user poll include: HealthFusion, Greenway, Cerner, Allscripts, athenahealth, PracticeFusion, iPatientCare, Kareo, and ADP AdvancedMD. Black Book™ surveyed healthcare records professionals, physician practice administrators, and ambulatory group leaders in the information technology arenas to provide EHR and mobile system users, media, investors, quality minded vendors, and prospective buyers of practice software with a comprehensive comparison of the industry's top respected and performing vendors. Black Book Rankings employs detailed key performance indicators targeted at ensuring high product and service performance through comparing vendors from the customer experience. 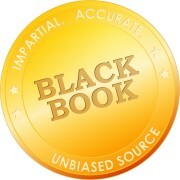 Black Book Rankings, a division of Black Book Market Research LLC, provides healthcare IT users, media, investors, analysts, quality minded vendors, and prospective software system buyers, pharmaceutical manufacturers, and other interested sectors of the clinical technology industry with comprehensive comparison data of the industry's top respected and competitively performing technology vendors. 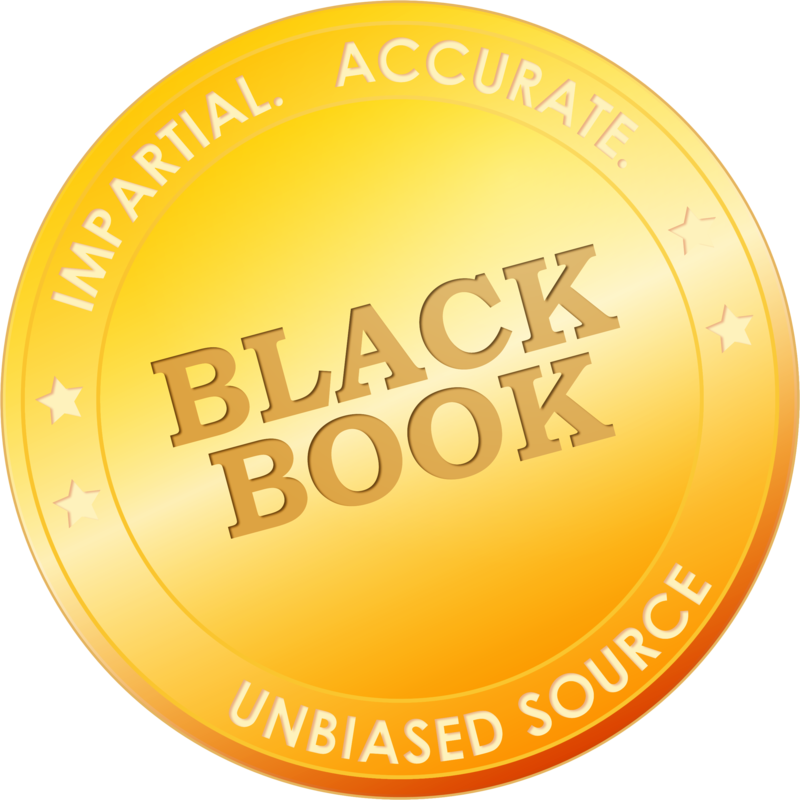 The largest user opinion poll of its kind in healthcare IT, Black Book™ collects over 550,000 viewpoints on information technology and outsourced services vendor performance annually. Black Book was founded in 2000, is internationally recognized for over 15 years of customer satisfaction polling, particularly in technology, services, outsourcing and offshoring industries.